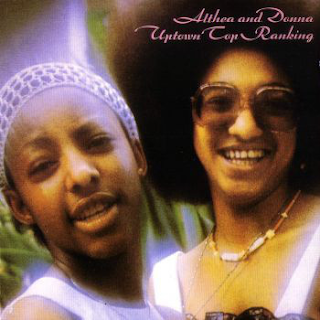 The first thing that needs to be pointed out about Althea and Donna's one and only album is that it is most certainly not a vehicle for the massive, unexpected number one hit single, "Uptown Top Ranking". It is not full of sub-standard "filler", not by a long chalk. It is a vibrant, horn-drenched, rhythmic roots reggae album with musicians like Earl "Chinna" Smith and Tommy McCook involved. Tracks like "No More Fighting" and "Jah Rastafari" are excellent, full of killer horn riffs, sublime percussion and rumbling bass. This is mid-pace roots reggae at its finest. Even the girls' notoriously monotone voices compliment the songs perfectly and make a refreshing change from the usual Rasta male voice. "Make A Truce" borrows its introductory bass line from The Temptations' "Ball Of Confusion", I am sure, but it soon merges with the crucial horns and intoxicating riddims. 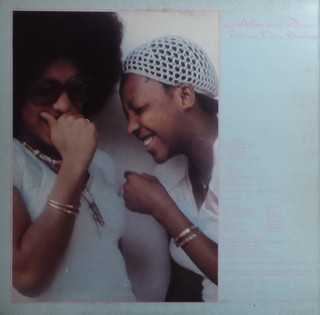 A lot of people had a problem with the girls' voices, but personally, I have always found them quite fetching, and very evocative of that 1978 reggae/punk crossover period. I remember spending an evening in a Manchester poolhall in early 1978 and they played "Uptown Top Ranking" several times during the evening. All that that said, I still feel this album is a really good roots reggae offering, the sound quality is also excellent, some of the best I have heard from a reggae album of the period. Just check out "Uptown Top Ranking" again, it never fails to uplift, and the trombone on "Jah Music" too. Great stuff.